Are you suffering from back pain and swollen feet? Do you know the cause of these pains could be a lack of magnesium in your body? Don’t worry The Mamaearth Epsom Bath Salt is a pure mineral compound (Magnesium Sulfate) in crystal form. 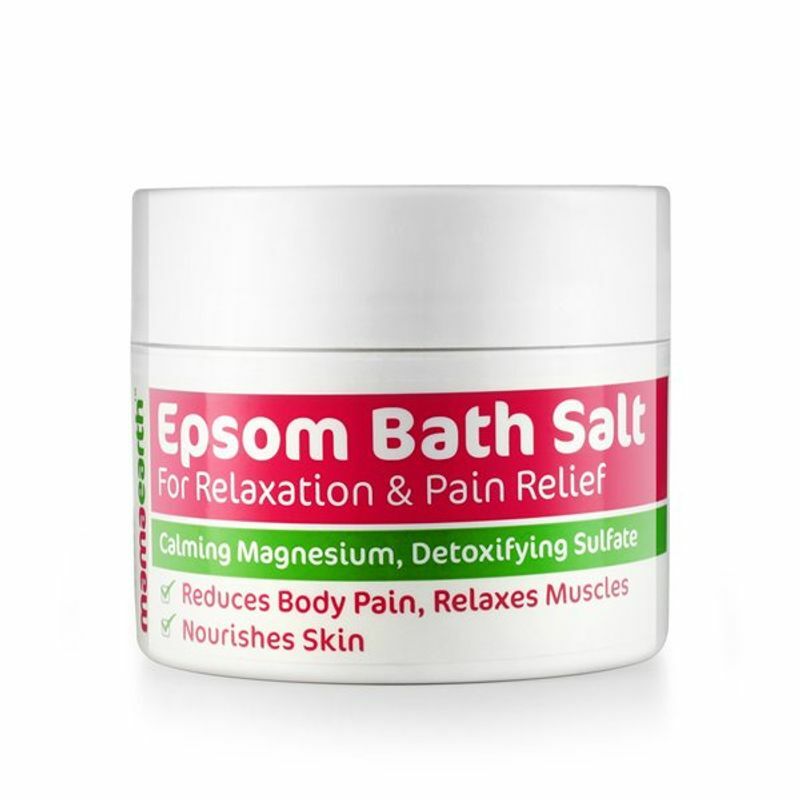 Add it to your bath; it’s one of the most effective ways of making the magnesium your body needs readily available and is known for my many therapeutic uses. It dissolves easily in warm water to help soothe muscle pain, relieve aching feet, cleanse pores, and detoxify the skin. It eases your body pains during your nine months of pregnancy and even after the baby is born. 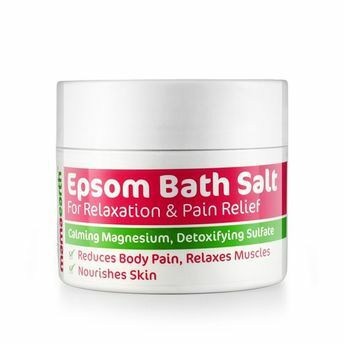 Pure Epsom Salt (Magnesium Sulfate) to Reduce Body Pain- Known for its amazing therapeutic qualities, an Epsom salt bath can help to relieve muscle aches and pains of an expecting mother and even post-delivery, relieve aching feet, cleanse pores, flush out toxins, and detoxify the skin. Relaxes Muscles- Magnesium in the Epsom salt not only help to relax your muscles, it can also help to relax your mind. Eliminates Toxins- Human skin is a highly porous membrane; by adding minerals like magnesium and sulfate to your bathwater, it triggers a process called reverse osmosis, which actually pulls salt out of your body and harmful toxins along with it. MADESAFE- Asia's first MadeSafe certified brand. Explore the entire range of Bath Salts available on Nykaa. Shop more Mamaearth products here.You can browse through the complete world of Mamaearth Bath Salts .